Thanks to the bright blue hues of spirulina algae, the broth of this ramen is so colorful that it wouldn't look out of place in an episode of Care Bears. 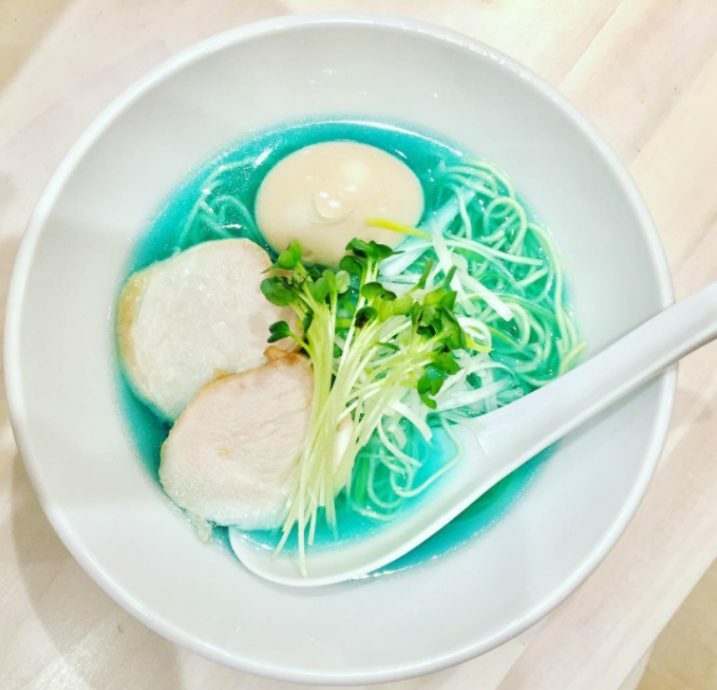 The dish is being served at Tokyo's Kipposhi ramen restaurant under the name "Clear Chicken Soup ‘Blue'". Oddly enough, the restaurant offers more description of the Chinese technique they use to get the broth so clear than they do of how it got to be such a shocking shade of blue. As it turns out, it's a similar idea to the superfood blue algae lattes that starting encroaching on matcha lattes' territory last summer. So you can enjoy both the color of your ramen and the smug satisfaction of knowing that it's made from a superfood. The "Clear Chicken Soup ‘Blue'", which is topped with salted egg, chicken fillet, and greens, is selling for 900 yen (about $7.80), which isn't too bad until you factor in the airfare to Tokyo. Or you could just hang tight for a few. Given how much these noodles are blowing up on Instagram, we're sure to get some imitation dishes on menus throughout the states in the near future. If this ridiculously blue ramen isn't enough to get your technicolor fix, don't worry. There are so many other rainbow-fied foods you can choose from. You can try making unicorn poop bark. You can make yourself a rainbow latte. If you're feeling especially cruel, you can even drink a shot of sparkle-filled unicorn tears liquor.